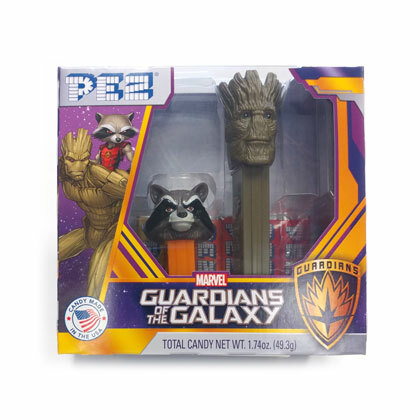 Guardians of the Galaxy twin pack from Pez includes Rocket Raccoon and Groot along with 6 pez refills. Package is approx. 5.25 by 2.5 by 5 inches tall. Candy net weight is 1.74 oz.